So like the precision of Swiss watches and trains, Jessie’s Swiss roll requires exactitude in mixing the cake batter and watching the baking time carefully. It is a classic technique and one that is not difficult but requires attention and patience. 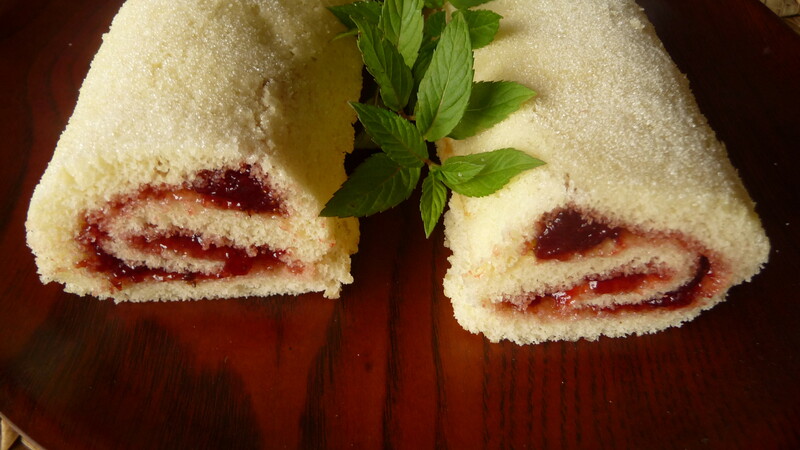 The Swiss roll deserves a quality filling, and I used my own strawberry with black pepper and mint preserves (recipe from the diva herself, Christine Ferber, “la fée des confitures” – “the fairy of jams”). I will follow my 19-installment series with a review of the project, featuring favourite recipes, and other such commentary. In the meantime before we head off to Scotland and England on holiday, adieu, adieu, adieu, to you and you and you. Enjoy my grandmother Jessie’s Swiss roll. Pre-heat oven to 450 degrees, positioning rack on the middle rung. Grease and flour one jelly roll pan (11 x 17” inches) or deep cookie sheet of this size, line with parchment paper cut to 121 x 18”, and butter inside of paper. Mix eggs in bowl of stand mixer with whisk attachment for two minutes (or use hand-mixer or the good old-fashioned whisk with “elbow grease” method)..
Add sugar slowly and beat on medium speed for five minutes (on level six on my KitchenAid was the right setting). With an electric handmixer or a whisk, by hand, it will take longer, but the volume should have doubled with the mixture looking pale milky white and airy. Sift flour and baking powder (or mix thorough with whisk by hand) in small bowl. When the egg-sugar mixture become pale and double in volume (making a ribbon when the batter is dropped from a spoon back into the batter), fold in flour by hand with a spatula, adding water when it is almost entirely incorporated, being careful not to mix just until blended. Fill the prepared pan and smooth the batter evenly. Bake until cake tester comes out clean, just 3-5 minutes. 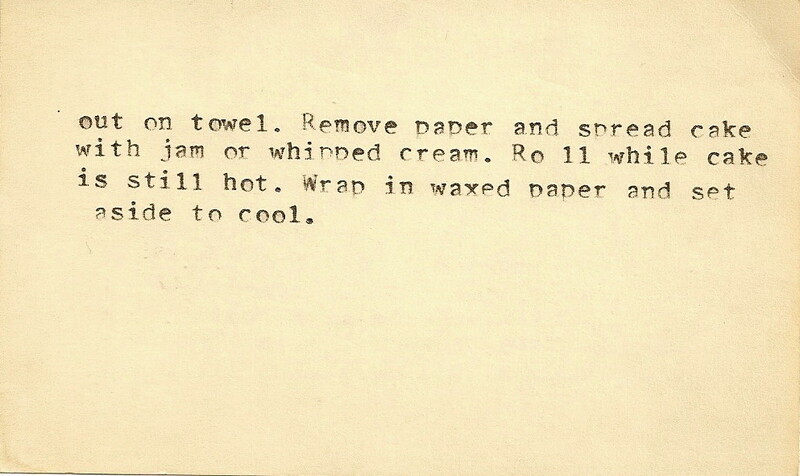 Remove the cake from pan, peel off paper, and place on clean kitchen towel. Sprinkle layer of sugar on surface before jam. 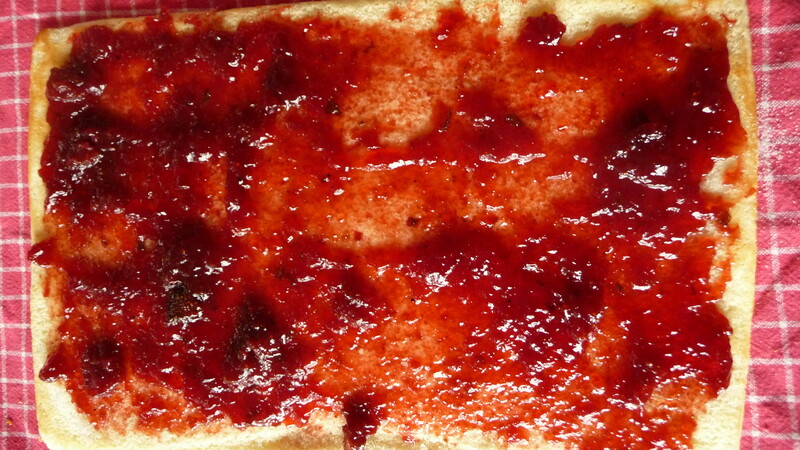 Spread jam over surface, leaving a one-inch margin on the bottom long side. Roll carefully, the long side towards you (I guess the opposite could work for a very thick but shorter cake). Sprinkle with additional sugar, and think about days of yore. This entry was posted in Baking, Cakes, Dessert, Recipes Misc, What Would Jessie Dish and tagged Cake, classic, Dessert, jelly roll, Old-Fashioned Cuisine, Retro, Swiss, Vintage Recipes, WWJD. Bookmark the permalink. What a beautiful and, as you say, retro dessert to end Jessie’s series! I have thoroughly enjoyed getting to “know” Jessie a bit through her recipes, photos, and your bits of information about her. Thanks for sharing! Thank you, Kath. I’m glad you’ve enjoyed the series, which I certainly have enjoyed creating. Your consistent readership means quite a bit to me! I’m so sad that the Jessie series is over. Her restaurant demeanour was a lot like my grandfather’s. 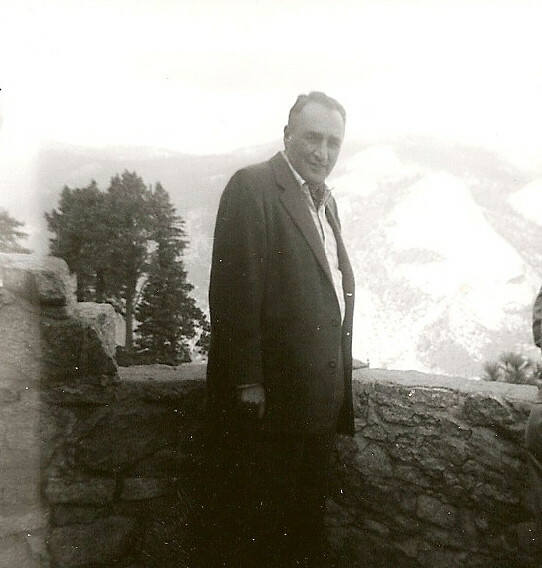 Whenever he ordered fish in a restaurant in his hometown of Calgary he would ask, “And how far did it have to swim to get here?” He always asked for the “English cut” (thin slices) when he ordered roast beef and would send it back unless it was done perfectly. My mother always asked me to sit next to him when we went to restaurants because she was afraid she might throttle him. I thought he was charming (if a bit embarrassing at times). Thanks, Lynn. I value your feedback and liked the anecdote. Just imagine what it would have been like for us to go out to dinner with the two of them together! Maybe I will have to hold an all-Jessie dinner party, featuring her china and recipes, of course. 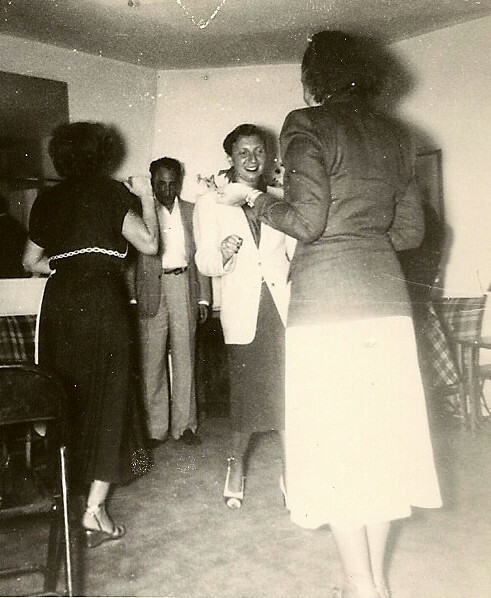 Who knows what Jessie would have made of our island potlucks, but she certainly would have had a strong opinion – one way or another…. Thanks, Theresa. I’m glad you suggested the whipped cream, as that was a variant on Jessie’s original. 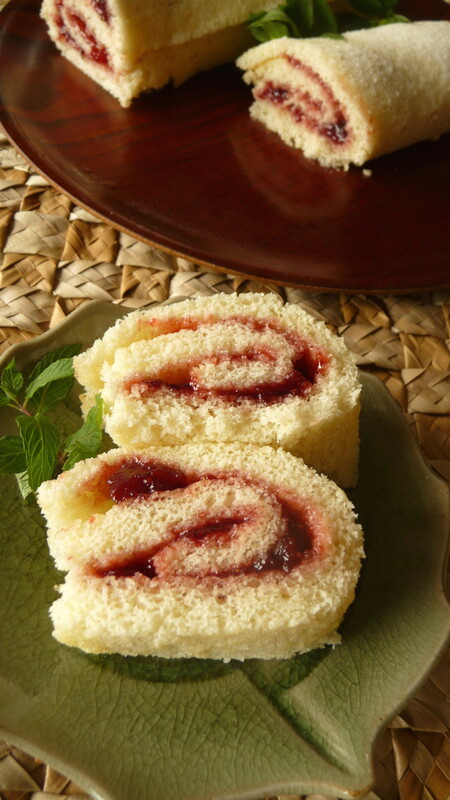 While I only recall the jelly-roll version, a cream-filled Swiss roll, buche de noel, or whatever you call it, is tasty! Dan, I’ve so enjoyed this series. I didn’t know Jessie, but I almost feel like I did, given all the wonderful pictures and stories you’ve shared here. And this delicious-looking cake — a sweet ending, I must say. Hi, Maddie. I appreciate your following the progression, too, and your very – dare I say? – sweet comments. Thanks so much. Thanks so much for sharing the contents of Jessie’s recipe box. I’ve enjoyed the journey. You ought to go rummaging through all your relatives kitchens and grab theirs as well. Thank you, Toby, for your comment and for reading my posts. Unfortunately, I wouldn’t be able to scrounge up much from my other relatives…. 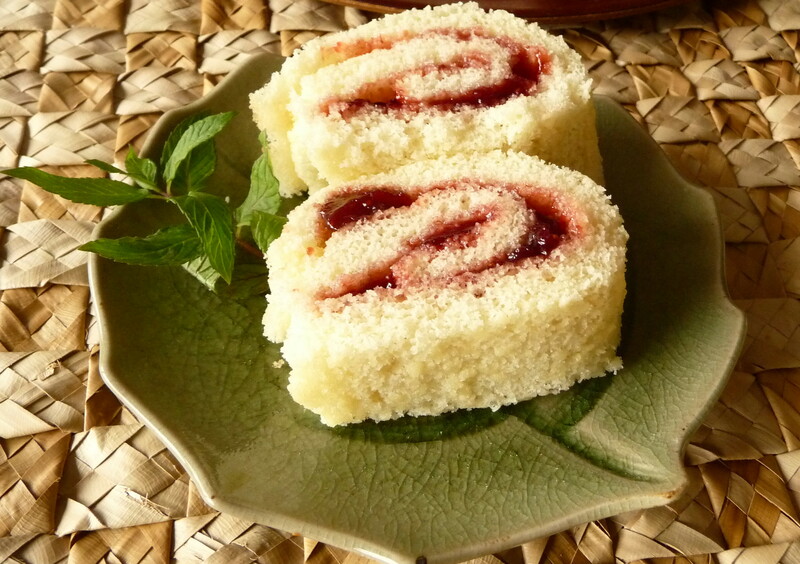 This spongecake jellyroll looks lovely….so soft. I bet you used some of your own homemade jam as well. 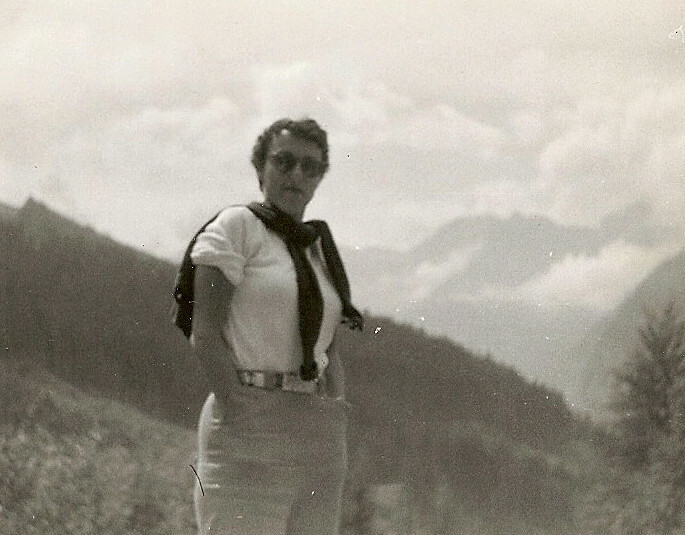 Jessie’s recipes will be missed and so will your stories of her life. She seemed like a real kick and one-of-a-kind. Hi, Geni. Yes, I did use a strawberry-mint-black-pepper jam I made myself, and you are absolutely correct about her being a kick and definitely one-of-a-kind. At least her recipes are on the InterTubes now! Dan, do you have any idea how sad I am that this is the last entry from Jessie’s wonderful files? Honestly. 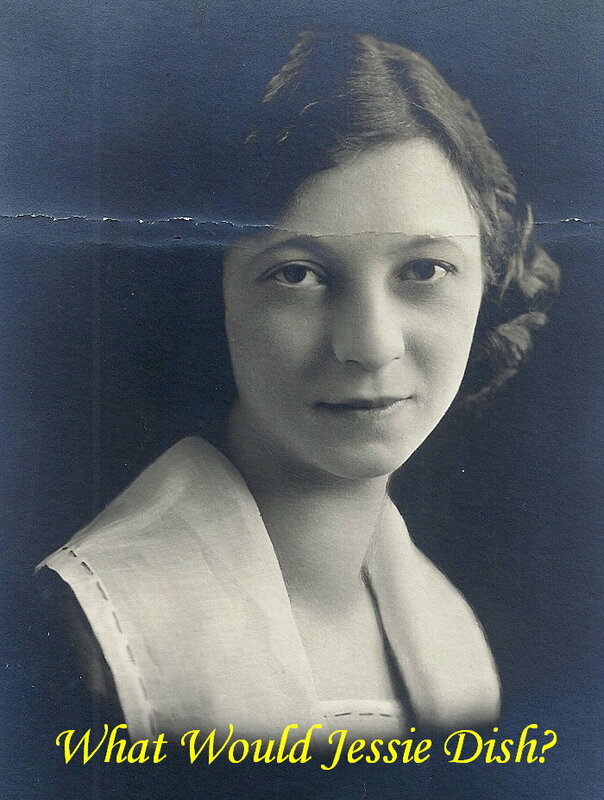 I feel like I’ve lost something rather significant: my Jewish-American-pseudo-British grandmother. So simple but i love this dessert. It is pretty big in Sweden. We put everything from jam and fruit in it to almond cream to regular whipped cream.